With an approved location on College Hill, the planned state-of-the-art performance facility will be a hub for the arts on campus. PROVIDENCE, R.I. [Brown University] —In two critical steps toward realizing its vision to create a cutting-edge performing arts center (PAC) on campus, Brown University has selected an award-winning architecture firm to design the building and has approved its site adjacent to other arts-centered academic facilities in the heart of its campus. The University will work with New York City-based REX, known for its imaginative approach to cultural buildings, to design the PAC. The building will be located on Brown’s College Hill campus in Providence, R.I., between Angell and Waterman streets on the west side of The Walk, a series of linked green spaces that intersect campus. Both the architect and site selections were approved in votes by the Corporation of Brown University at its annual Commencement week meeting on May 25 and 26. 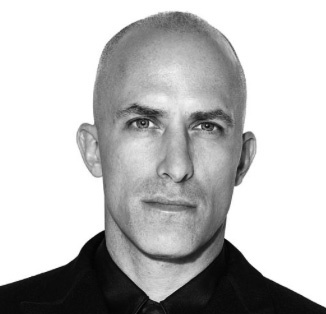 REX is led by Joshua Prince-Ramus, who was a founding partner of OMA New York, the U.S. affiliate for the Office of Metropolitan Architecture in the Netherlands, founded by architect Rem Koolhaas. Prince-Ramus rebranded OMA New York as REX in 2006, and the firm’s portfolio includes pioneering cultural buildings such as the Dee and Charles Wyly Theatre in Dallas, the Ronald O. Perelman Performing Arts Center at the World Trade Center site in New York, and the Seattle Central Library. The award-winning work of REX, headed by Joshua Prince-Ramus, is widely acclaimed and has been the subject of many international exhibitions and publications. Professor of Music Joseph Butch Rovan, who leads the University’s recently launched Brown Arts Initiative (BAI), participated in the rigorous three-month process to select an architect to design the facility, which will serve as a hub for music, dance, theater and multimedia arts on campus. The vision for the PAC includes a major performance hall and reconfigurable spaces that can accommodate both large-scale and intimate performances and projects. Brown’s selection committee also sought a firm with a history of design excellence. At REX and with the former OMA, Prince-Ramus has designed visually arresting cultural and performance spaces with groundbreaking functionalities that have been honored with awards from the American Institute of Architects, the U.S. Institute for Theatre Technology, the American Council of Engineering Companies and many other organizations. Many of REX’s projects embrace the need for flexibility, a key design component for the PAC at Brown. The Wyly Theatre, for example, features stacked facilities that can be reconfigured mechanically. The theater space can be transformed for performances that require a proscenium, a floor-level stage, arena or other layout to suit production needs. Likewise, the Perelman Center’s design is technologically advanced and flexible, with performance spaces that can be configured for a variety of performance formats. 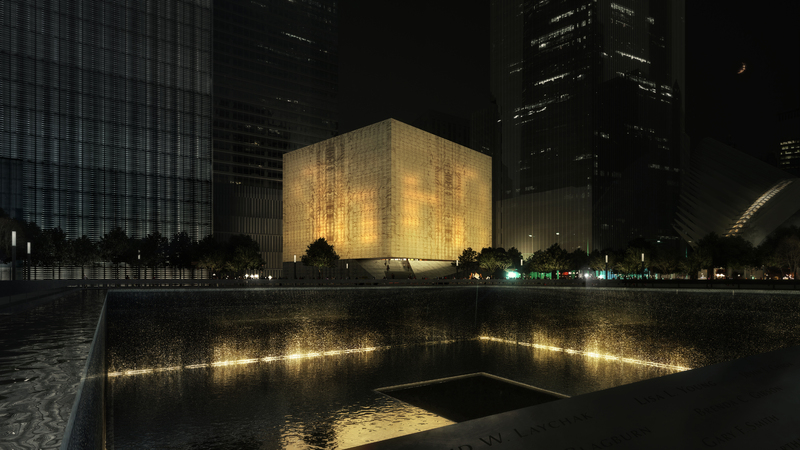 REX's design for the Ronald O. Perelman Performing Arts Center at the site of the World Trade Center in New York features three auditoria that can be combined and reconfigured to form seven different stage and audience arrangements. To successfully marry design with construction of the PAC, Creppell said that the selection committee searched for a firm with a creative process that could adapt to integrated project delivery (IPD), an effective, efficient and highly collaborative design, planning and building process. Through this integrated approach, the University, the architect, contractors and subcontractors work together through all phases of the project. Brown has employed an IPD approach on its nearly complete School of Engineering expansion and for several other recent projects. With the building site also confirmed by the Corporation, the performing arts center will be situated between Waterman and Angell streets on The Walk, a location occupied by a parking lot, three residential structures and two academic buildings. The location places the PAC at the heart of a cluster of arts facilities that includes the Perry and Marty Granoff Center for the Creative Arts, the Department of Theatre and Performance Studies, Rites and Reason Theatre and the Stephen Robert ’62 Campus Center. The Walk also presents the possibility of using outdoor space for performances and accommodates traffic and loading concerns. A Meeting Street location southeast of Alumnae Hall and a Brook Street site between Meeting and Cushing streets were also considered as potential sites, Creppell said. Neither site offered the critically important academic program adjacencies found on The Walk. They also would have created various challenges, including the need to displace student housing, displacement of academic and co-curricular programming, and misalignment with space and zoning requirements. The site validation process identified the approved location as supporting the vision for the PAC as a hub for the arts at Brown. With the architect and site approved, detailed planning for the PAC is slated to begin in summer 2017. Fundraising for the performing arts center is a priority of Brown’s ongoing $3 billion comprehensive campaign, BrownTogether. The target completion date for the project is late in the fall of 2020.